Mini style keyboard stand for easy and light travel. 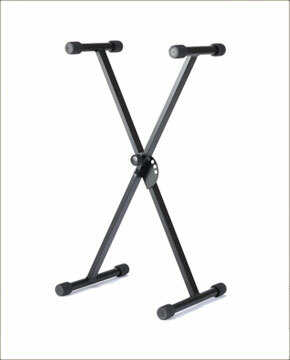 Single X keyboard stand with locking pin. Height adjustable from 22 1/2" to 29 3/4".